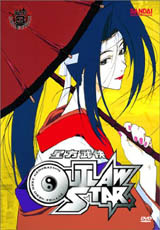 Along with his partner Jim and the lovely Melfina, Gene must fight his way across the galaxy battling pirates, aliens, and assassins as he attempts to discover the secrets of the Outlaw Star. Gene and Jim amassed an unusual crew of beautiful and talented ladies: the expert pilot Melfina, the beautiful and deadly assassin Suzuka, and the quick to anger but clownish Aisha. Each stays for their own reason: Melfina is awaiting Gene's help, Suzuka is waiting to kill him, and Aisha wants him to find the treasure of the Galactic Leyline so she can take it. 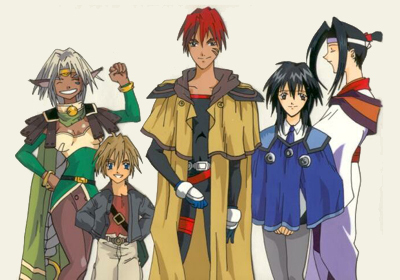 Yet they've all banded together against the pirates, including the cruel MacDougell brothers, and will not rest until they've solved the mystery of the Outlaw Star and the Galactic Leyline. The Final Leg of the Journey! 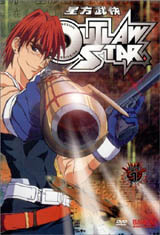 Gene and the crew of the Outlaw Star are now very close to solving the mystery of the Galactic Leyline. But there are a few obstacles in their path. Danger, despair, heartbreak, and a trip to the resort planet Tenrei lie in wait as they solve the final pieces of the puzzle and make their way to the Leyline. The remaining member of the Anten Seven are still out to kill Gene, and the MacDougall brothers are still after Melfina. 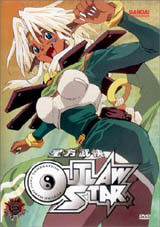 Now the sinister mastermind behind all of these other forces will be revealed,and the crew of the Outlaw Star will have to fight him not only for their very lives or the treasure of the Leyline, but for the fate of the Universe!